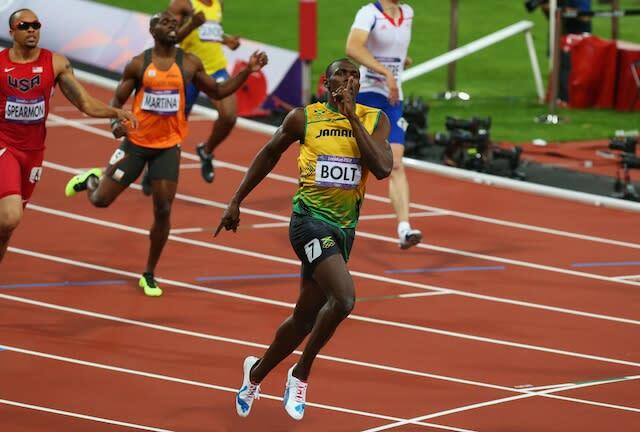 Both literally and figuratively, Usain Bolt silenced whatever critics he had left on Thursday night. 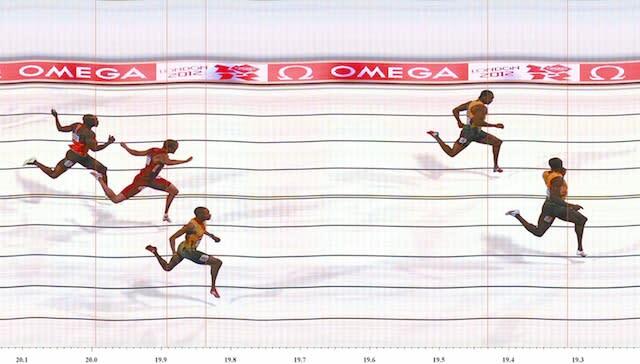 As he crossed the finish line after another decisive victory in the 200 meters, the Jamaican track superstar brought his finger to his lips to quiet the crowd, his detractors or anyone who thinks he's not the greatest sprinter who ever lived. 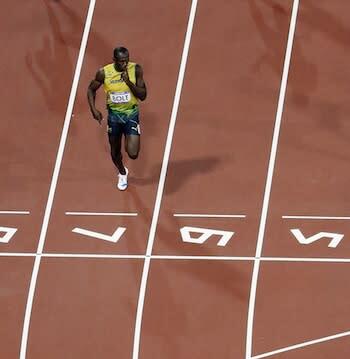 Great athletes take the most minor slights and turn them into a chip on the shoulder. The greatest athletes act like those chips are the Grand Canyon. 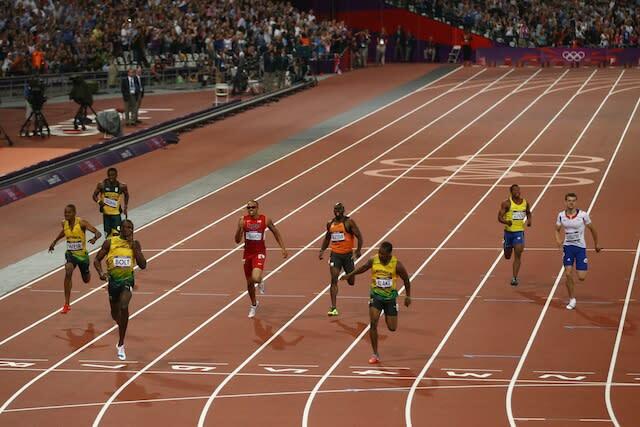 When Yohan Blake defeated Bolt twice at the Jamaican trials, many wondered whether it was a changing of the guard of the sport. 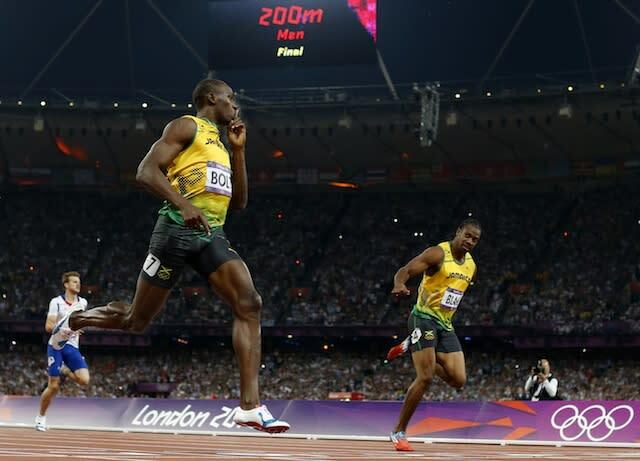 No one had ever defended their 100 and 200 titles at the Olympics. 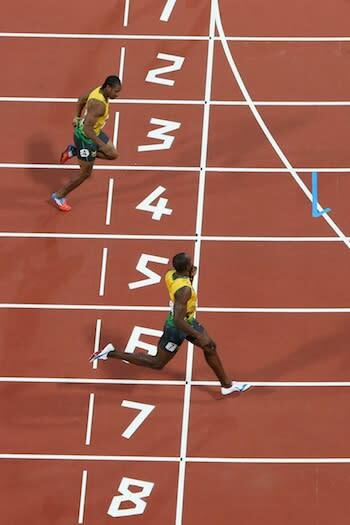 Would Bolt be the next to come up short? Never mind that these were the obvious questions to ask after those losses to Blake, nor that the skeptics were doing what Bolt almost certainly wanted them to do: create doubt about his chances in London. He embraced the extra challenge and motivation that a would-be usurper brought. 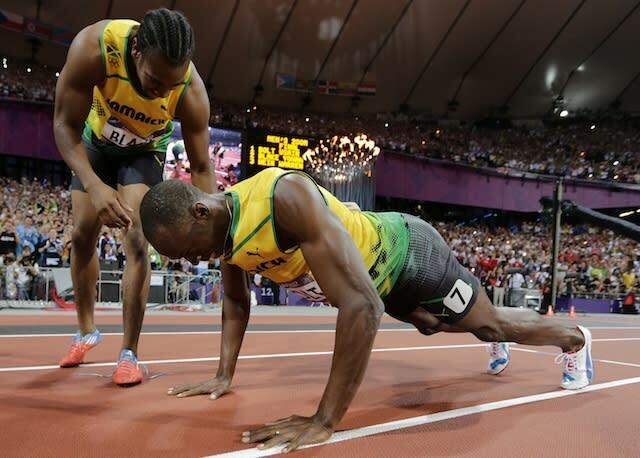 After he crossed the finish line in 19.32, well ahead of Blake, who won the silver, Bolt fell to his knees to do pushups. 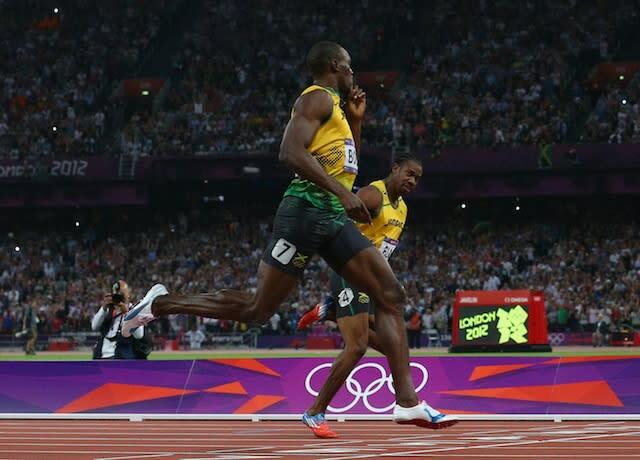 The clear implication: There was plenty of more in the tank for the greatest sprinter of our generation.